The new E3-LED-PICO from Favi Entertainment is a small projector with big dreams. With a maximum output of 50 lumens, the E3-LED-PICO (henceforth the E3) is one of the brightest pico projectors available, making it perfect for comparatively large image sizes and casual video use. An onboard media player and plenty of storage options make the E3 a highly portable pocket powerhouse. High brightness comes with short battery life, though, and some user interface quirks hinder the E3's otherwise good performance. Due for release in October of this year, the E3 should sell for roughly $350 when available. The E3 is the follow-up to Favi's E1-LED-PICO (you can read ProjectorCentral's review of the E1 here) released last October, and it is immediately evident that they have made some improvements. For one, lumen output has been quadrupled from 12 to 50. Resolution is up, too; the E3 has a native resolution of 848x480 to the E1's 640x480. The E1's AA batteries have been replaced with an internal rechargeable model. This is a mixed blessing; it's great if you hate buying batteries and not so great if you hate recharging them. Most importantly, the choppy video performance of the E1 is nowhere to be seen. Frame rate is high and action is smooth in every test file we tried, including the same files that gave the E1 so much trouble. In terms of actual image quality, the E3 turns in a solid performance. In the ideal viewing environment, the E3's contrast is respectable, with very good shadow detail for this class of product. Color, while non-adjustable, definitely ranks in the top half of all pico projectors we've seen as far as accuracy and saturation is concerned. Once focused, the picture is sharp and clear, with plenty of detail. Video is smooth and artifact-free, provided you start with a good source file. If you need a pico projector for video, the E3 has the chops. The E3 is the quintessential "pocket" projector, though it needs a slightly larger pocket than the one in your pants. It lacks the mini-tripod of the previous E1, but it has a throw angle conducive to placement on a table--the projected image is placed completely above the lens centerline. At around 50 lumens, a 40" screen in ambient light is not out of the question, while a 60" diagonal in a darkened room is still watchable. Personally, I prefer to keep the image smaller, around 30" in ambient light and 40" in darkness, since it helps to punch up the image a bit when watching movies and video clips. Would you recommend the Favi E3-LED-PICO over the Optoma Pico PK301? Thanks. Your site is very helpful. I recently purchased E3. Thus far, the battery only lasts me 45 minutes. When running on battery, the brightness is set to 30 lumens only, and you can not change it. To get 50 lumens, you have to use the AC adapter; the usb charger will not do it either. 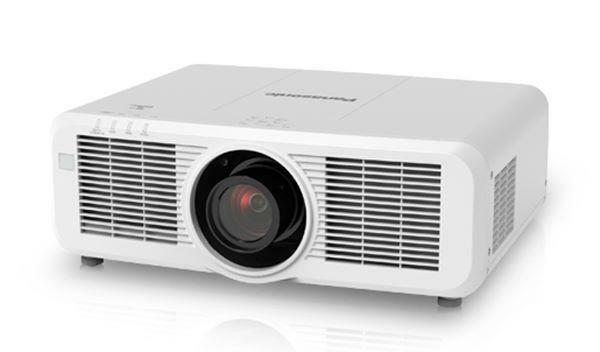 All in all, it is a good solid projector. I do want to see the battery life a bit longer.